Twitter has been undergoing a number of changes – some larger than other – in order to boost its social media marketing and user growth that has been waning over the last while, and its latest effort has been a cosmetic one. The little yellow star that was once meant for favorites has been changed into a little red heart for likes. According to Twitter, itself, the reason it made the change was that the star icon was potentially leading to confusion among its users. However, the heart icon is more universally recognized around the globe as indicative of something that you like or love. However, this change has not necessarily been generating a tremendous number of heart shaped responses from the actual users of this network and it is unclear as to what impact it will have on social media marketing on that platform. 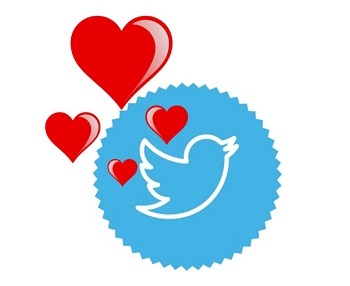 The hope is that tweeting and social media marketing will occur with less confusion using hearts and likes. Many people have been complaining that it wasn’t the star but the change that has been the most confusing. The reason is that they felt the star was unique to Twitter and that users were able to figure out what it was for and when to use it. However, the heart is found all over other social media platforms and is used for different purposes. For example, it is an emoticon/emoji in Facebook and Instagram. By changing to the heart, some users have complained that Twitter is reducing its uniqueness. Twitter, as a whole, can be rather intimidating for a brand new user. The entire concept often feels mysterious to a person who is only just beginning. However, it usually doesn’t take long to figure out and it is hardly something that requires vast tech degrees, say users who have tweeted their frustration about the change. That said, they pointed out that among all the features in Twitter and its social media marketing that can be considered the most confusing, the little star for “favorites” was hardly the greatest offender.